ADEL, Iowa (WHO) -- The biological family of Sabrina Ray says justice was partially served on Friday after the teen's adoptive brother pleaded guilty to abusing her. "That person was my sister, Sabrina Ray. I did this by pushing my sister down a flight of stairs, and this caused bleeding to her head," adoptive brother Justin Ray said. Justin showed no sign of emotion while also admitting to kicking Sabrina in the head, cutting her chin, and breaking her jaw. “The court, therefore, finds the defendant, Justin Dale Ray, guilty of count three as amended and count four, both counts being willful injury, as a class D felony," Judge Terry Rickers said. Two other felonies were dropped as part of the plea deal. Justin will now serve 10 years in prison. “It is the cold and cruel and despicable nature of what you did to your sister. I must also consider the devastating effects of and what your actions have had on your younger siblings,” Judge Rickers said. 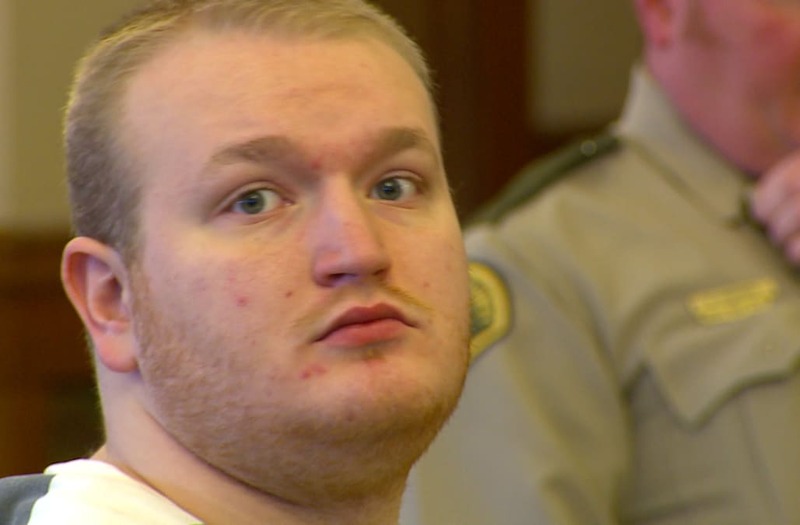 Justin Ray will serve 10 years in prison after he admitted to abusing his 16-year-old adoptive sister. Three of Sabrina’s siblings were in the home when the abuse happened. While none were there for sentencing, one still had a message for her brother. “Dear Justin, you have destroyed my sister and I's life with your actions. You will be receiving a wake-up call Friday. It's breaking my heart. We did not deserve what you gave us. Nobody ever deserves that kind of treatment." Sabrina was found dead in the basement of her Perry home last summer. An autopsy report shows she weighed 56 pounds at the time of her death. “Sabrina Ray looked to this family to be her forever home, and while she was there she was mistreated by the defendant,” Dallas County Prosecutor Jeannine Gilmore said. Parents Marc and Misty Ray are facing numerous charges, the most severe of which is first degree murder.